Written by Joel on July 4, 2013 Blog. In honor of Independence Day I wanted to write a bit of a tribute to American innovation – WooThemes style – by celebrating some of the amazing WooCommerce sites coming out of the USA. As a preface I should add that while I am based at WooHQ in Cape Town, I am an American in my late late 20’s who was privileged enough to grow up in the exciting emergence of AOL, online gaming using my 56K modem, and eventually ecommerce (selling baseball cards online). From afar (in South Africa), I have seen the US economy and retail market struggle and, when go home for visits, I find my familiar hometown landscape changing constantly. Many of my favorite niche shops locally in Southern California have closed, while it is not uncommon to see areas well known for more niche creative shops become lined with monotonous and predictable large retailers. A new generation has emerged seeking authenticity, natural, honest and unique. A shift is taking place within the US and worldwide where people are re-enchanted with artisan creativity and personality in the marketplace. Affordable ecommerce solutions like WooCommerce have enabled businesses and individuals to step forward to present exciting new products, services and ideas in the US and globally. Here at WooThemes we believe that WordPress and our increasingly popular free ecommerce plugin WooCommerce create the perfect duo to harness creativity and innovation. Every day I come across the most incredible and unique WooCommerce sites and I have been waiting for opportunity to share some of these amazing companies, that time has finally come. I’d like to highlight six very different WooCommerce sites, each with a unique product offerings showcasing both innovation and creativity. 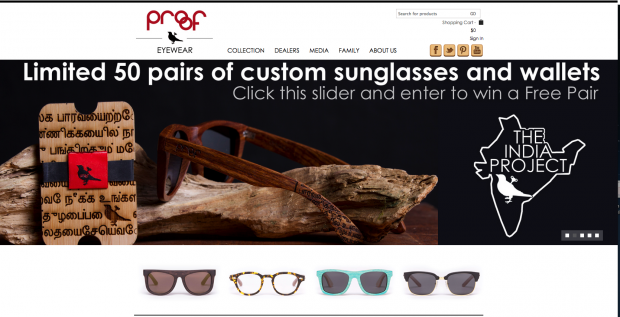 Proof Manufactures and Sells high quality designer sunglasses made from sustainable wood sources. A large portion of every sale goes to support causes that Proof a part of such as eye clinic in India that give sight-giving surgeries to those who cannot afford it. Proof got its start in a garage in Eagle, Idaho in 2010. The founders, 3 brothers, grew Proof to an internationally known brand that is loved the world over. Proof is making huge strides in designing sustainable yet extremely fashionable eyewear while using their business to make a difference in global issues relevant to their business. This business model challenges us to reconsider how we can use what we are passionate about to give back. Baking Steel’s founder Andris has always been passionate about steel, his day job is at Stoughton Steel and outside the office he had always been passionate about food and pizza. According to Modernist Cuisine, steel is a more conductive cooking surface than a brick oven’s stone. With this idea in mind Andris’s two passions merged when he began testing out various pieces of steel to create the perfect pizza cooking surface. As we all know the key to a key pizza is a beautiful, thin and crispy crust. Andris’s idea became a reality when he realized his real-life tests yielded incredible results due to the conductivity, the pizza cooks faster and more evenly. 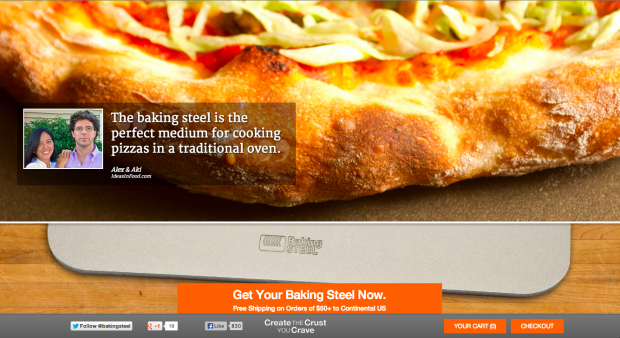 Now, pizza lovers everywhere can “create the crust you crave”. Andris was able to utilize Kickstarter to get his product into production and now is enjoying WooCommerce to help take his business to new heights. 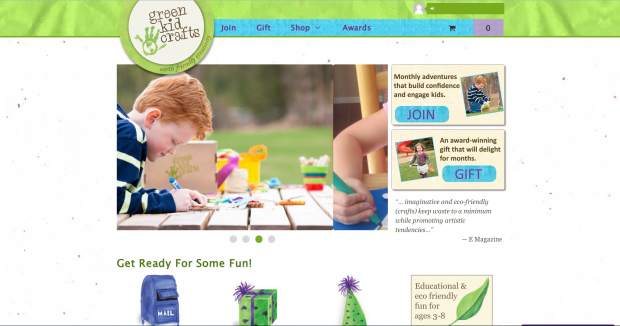 Green Kid Crafts is a green company that provides creative activities to do with kids through a craft kit subscription service and eco friendly art boxes. With Green Kid Crafts, both parents and kids can enjoy sustainable crafts and activities that spark creativity, build confidence and cultivate respect and love for the environment. Beyond Green Kids incredible products they are also involved in striving towards sustainability and creating positive change and in ensuring that all activities from product to process, have as little impact on the environment as possible. Green Kids Crafts views their work as a way to foster the next generation of environmental stewards by engaging kids with nature in positive, creative ways. It is remarkable to think of the positive impact that Green Kids Crafts are making on this generation of young people. Day2Night caters to the wants, needs, and desires of metropolitan and trendy women who are are leading busy work & social lives. Fans of D2N can be found commuting to work daily, attending happy hours and/or traveling the world. D2N embodies products that can be switched up from daytime meetings to night time social activities and they are great for traveling as they reduce weight or bulk & solve fashion challenges. Founder Candice Cabe first thought of the idea of “convertible heels” as she was packing her suitcase for a business trip. The next day was going to be her “first day on the job” at the company she had been offerred at after graduating from college. D2N is quickly becomming a fashion favorourite for a fast paced metropolitan lifestyle which demands the ability to quickly transition between settings. Agnes Ross is a Columbia, Illinois based retail store and online shopping experience combines product and ethos which will appeal to a large audience from all generations. Agnes Ross is named after the owners Great Grandmother, dedicated to bringing everyday luxaries into your every day life. The beautiful storefront is matched with a stunning website with a wide variety of products that combine form and function. Agnes Ross offers unique hand picked high quality products for the home. From bath and body to speciality foods and selected beers and wines, Agnes Ross has created a product selection which is unparalleled. 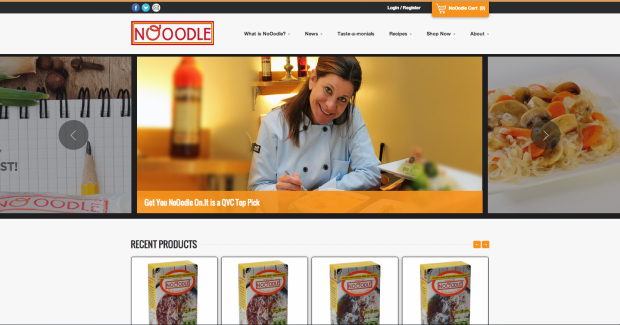 Nooodle Offers a unique range of noodles and pasta made from glucomannan flour, a dietary fiber from Asia which boasts many health and weight loss benefits. Nooodle is calorie free, carb free, glutten free, soy free and high in fiber. Nooodle is an healthy alternative to your typical pasta noodles which are high in starch. Nooodle products are helping customers with type 2 diabetes due to the added benefit of increasing soluble fiber intake. Nooodle is also helping customers lose weight due to the zero calories but also fibers slow the digestion process and help you absorb more nutrients in the food you eat. We hope you have enjoyed our selection of hand picked sites. Thank you to each of the sites featured for your willingness to share about your business and your WooCommerce experience. It really is a treat for us here at WooThemes to be a part of the amazing work you are doing. Are you doing something innovative with WooCommerce? Are you interested in getting an idea off the ground? Feel free to share with us. We love to hear from the Woo community! 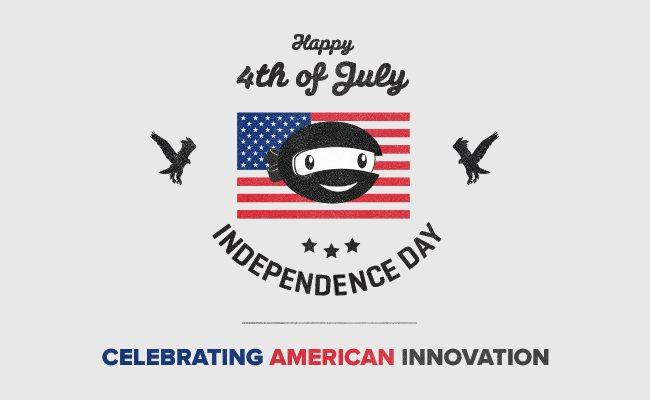 To all Y’all out there in America, Happy Independence Day! Light a sparkler for all your fellow countrymen and women abroad. *Business participants did not pay to be featured, really. Baking Steel’s website underwent a front page on /r/cooking when reviews of their product came in and were posted to Reddit. I have also had one client (W. A. Stark) go through a front page “experience” on Reddit, generating over 8k views in 2 days running WordPress+WooThemes+WooCommerce and just about every non-payment gateway plugin WooCommerce supports. I can reliably say that unless you are an idiot, or have horrible shared hosting, the WordPress+Woo Stack holds up to a massive amount of traffic. Do you mind me asking, if you know and are able to tell, what the server environment was like for your client? I can. We had them, at the time, on a single Windows Azure Small instance (1 core, 1.75GB RAM) which amounted to a very powerful shared hosting environment, using Ubuntu. The stack was Ubuntu, Apache 2, PHP, MySQL, WordPress, WooCommerce 1.5.x, and W3TC with APC and Azure CDN. I’ve sinced stopped using W3TC with them and switched to mod_pagespeed + varnish without WP caching and they survive their traffic at 3k/day levels. At one point, we were getting hits from reddit.com/r/guns, reddit.com/r/shutupandtakemymoney, and random forums and RSS feeds off the Reddit front page. Right now, its running on a Linode 1024 with Apache+mod_pagespeed and Varnish, PHP 5,4, and MySQL 5.x. Even without removing cookies, something I don’t want to do with a e-commerce site, Varnish’s page cache is making the site fly. I’ll help turn you into a pizza rock star in no time! Thank you for grouping us in with these amazing innovative companies. 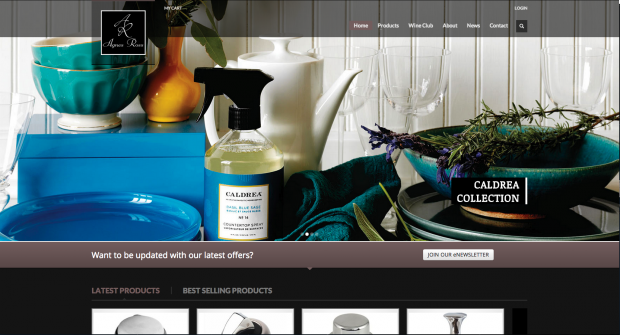 Lance @Nectafy was vital in making this transition to WordPress/woo commerce. So grateful he helped with this decision! The combination of WordPress and WooCommerce has allowed http://aussieskier.com to explode as the fastest growing retailed of ski equipment in Australia. The negligible setup cost and a few key paid plugins has allowed us to instantly arrive on the scene with a more functional and better looking website than our established rivals who have paid tens of thousands. We are turning a lot of heads and credit WooCommerce and the extensions greatly with our success. When we first launched we imagined that we might need to transfer to Magento once the business got off the ground, however once we really got to know WC this has been the furthest thing from our minds. Hey Richard, as a fellow Aussie I’ve come across Aussieskier recently getting ready for the season. Love the design, is it based on a Wootheme?